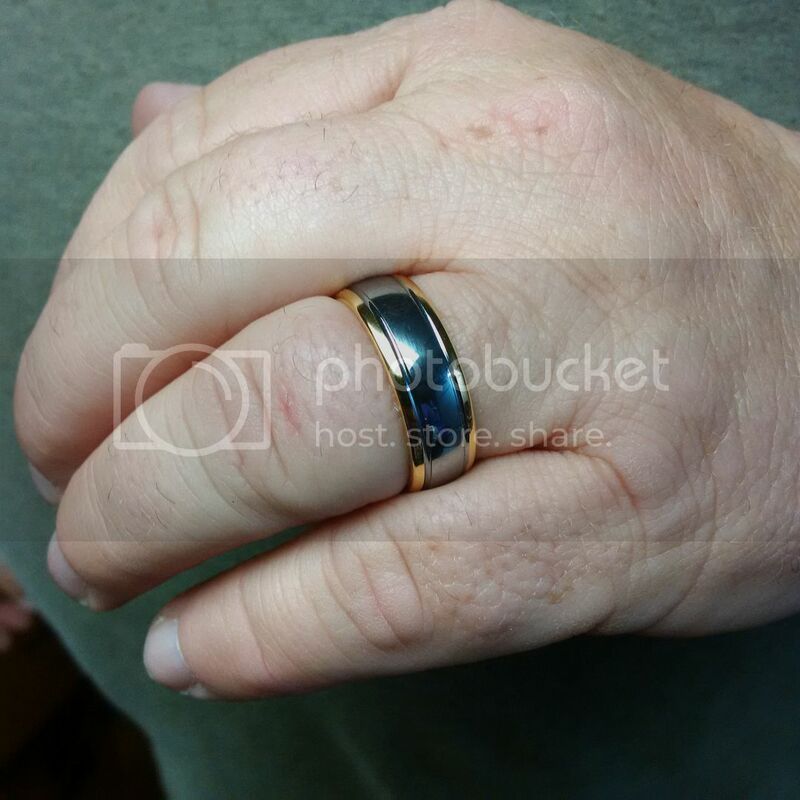 My husband lost his wedding ring at work a few years ago. 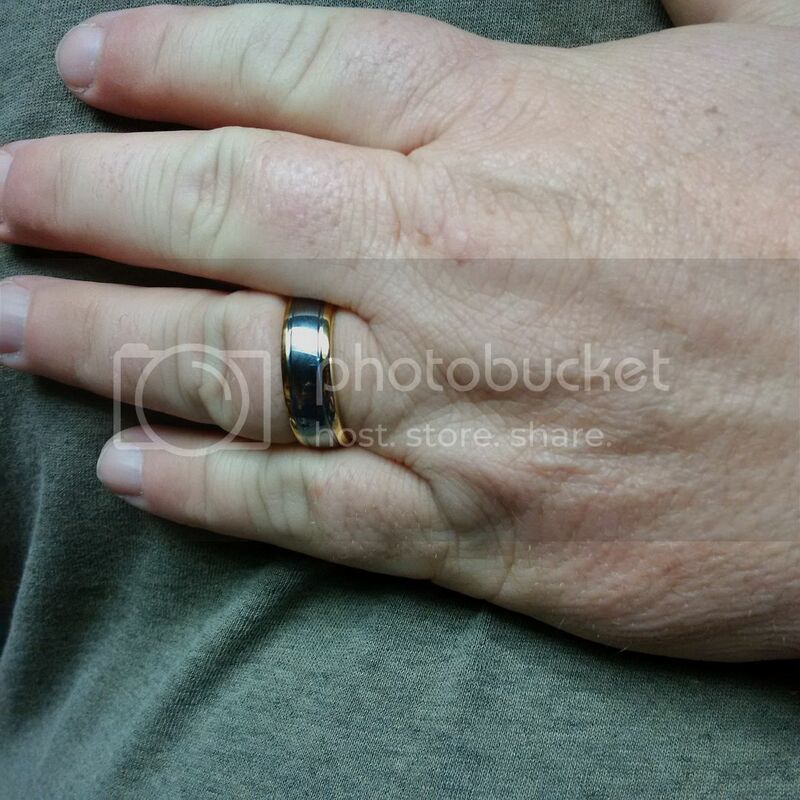 So I have been searching for a nice wedding band to replace it as a surprise gift for our wedding anniversary. 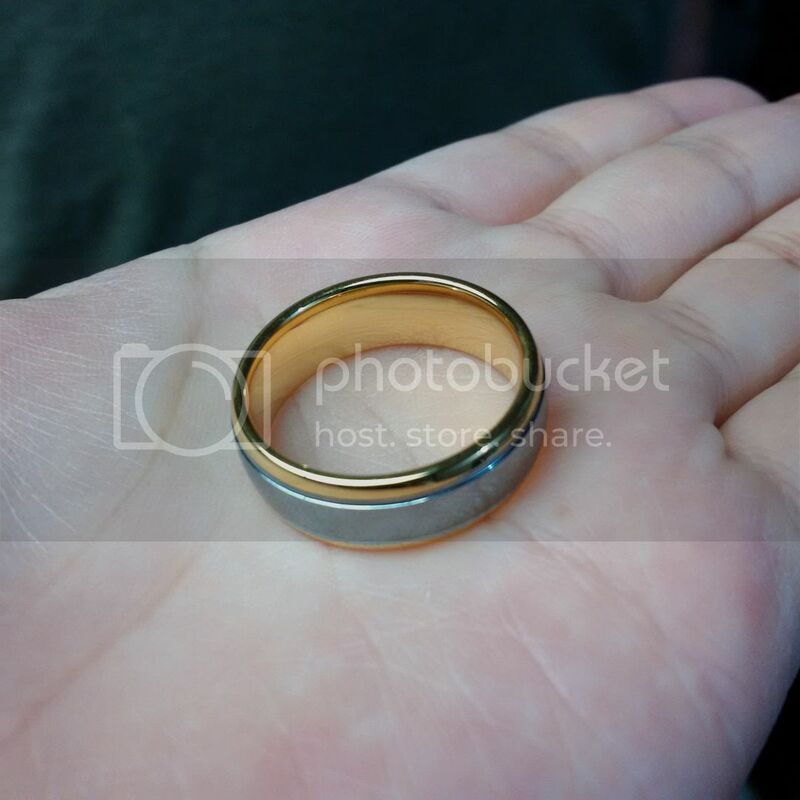 So glad I discovered Odyssey Rings 8mm Tungsten Carbide 2-Tone 18K Gold Plated Men’s Wedding Band. I got him a size 12 and he was very happy and so thrilled with my surprise gift. It fits perfectly and comfortably on his finger. It was perfectly tight that it won't come off easily but not too tight that makes it uncomfortable to wear. What I like about this product is that it is scratch proof which is perfect for my husband's lifestyle as a trucker. It's shiny and well polished and it doesn't wear off. What I like the most is that when I tried this ring for a day, I never had any allergic reaction. I am allergic to nickel and this ring has nickel as a binder to the tungsten. 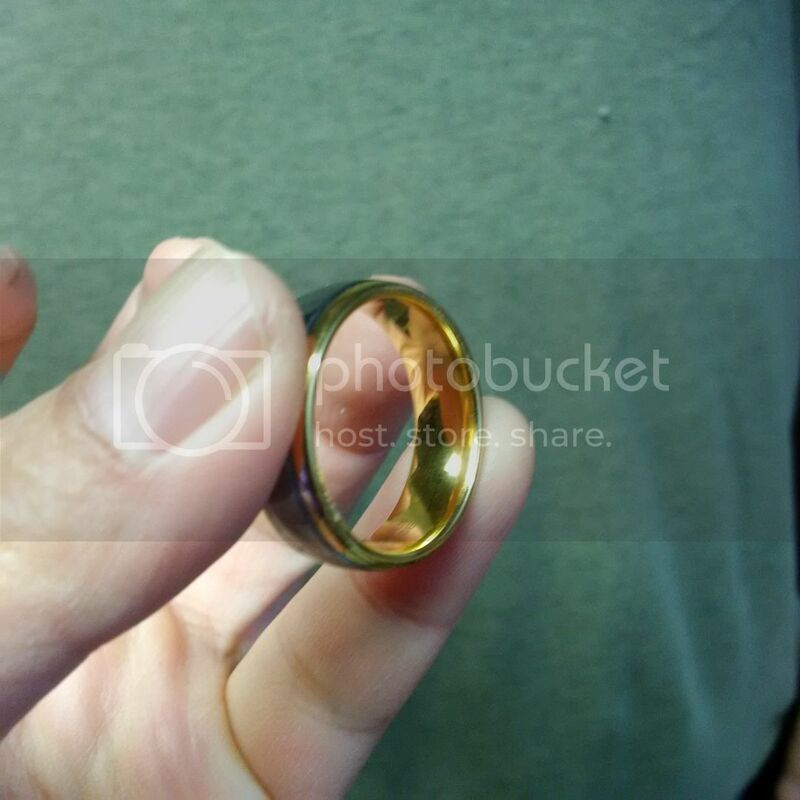 Just prove to show it is of a great quality and having gold and silver color makes it looks elegant. The only thing though, it didn't come with a jewelry box but over all we love it and would recommend it. Disclosure: I received the product for FREE in exchange of my honest review. All opinions stated were my own.